Why’d You Play the Left Bower There??! I’ve never played Bridge, and don’t know the rules or at least not totally, but back home in Newfoundland, we had a similar game called 500’s, the objective of which is to get 500 points, duh! The game is deceptively simple to play, but can take years to master. There’s a lot of strategy involved, and many arguments have been had between partners about playing the wrong card at the wrong time. 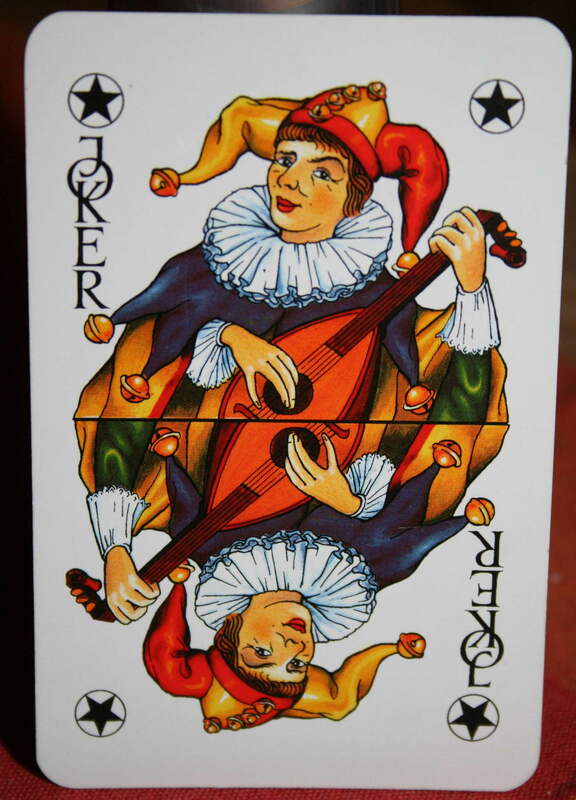 The joker is highest card, followed by the right and left bower (right is the jack of your suit, left is jack of the same color suit), followed by Ace, King etc. The deck has some cards removed, I can’t remember for sure, but I think the deuces and 3’s are taken out. Hands are dealt 10 cards per person, with a 5 card kitty that the winning bidder gets to choose from. Suits as well are ranked from Spades, Clubs, Diamonds, Hearts and No Trump. (At least I think that’s the order). The lowest possible bid is 6 Spades, meaning spades would be trumps, and you win your points if you win 6 tricks. The highest bid would be slam no-trumps. Its a great social game, lots of fun, and people play and play for hours, and some keep lifetime tally’s of playing with the same partner. Some great memories of playing 500’s around a coleman lantern in a cabin with a glass of rum, or beer, and a roast of moose in the oven. Ahh good times. Someday I hope I get in a game again, until then, may all your kiitys be full, your bowers be played correctly, and no-one cut you off with the joker!